The temple was built according to traditional Hindu architecture. The majestic, elegant temple is home to many deities. 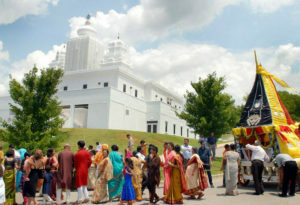 It is the only temple in the Huntsville area that provides a full range of religious and cultural services. 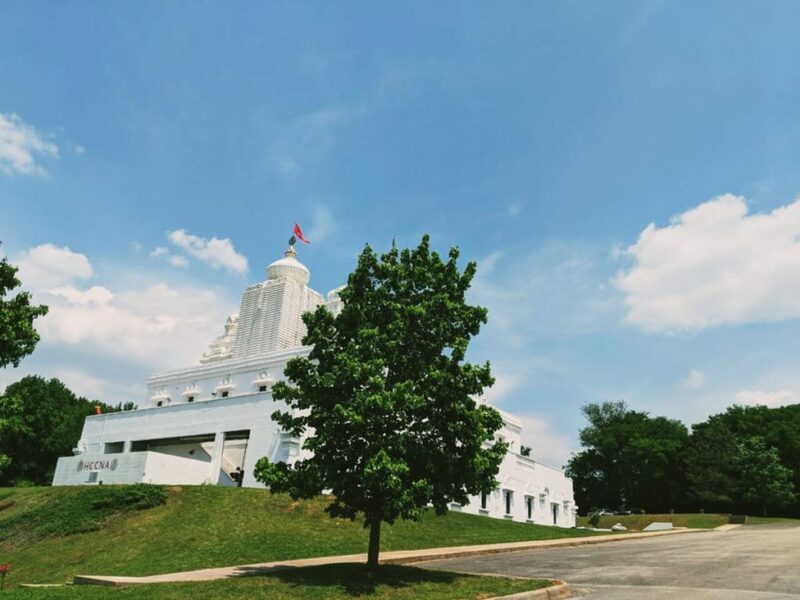 The mission of the temple is to provide a place of worship for the followers of Hinduism and to facilitate and offer services to perform various poojas and religious/auspicious activities. It provides a spiritual atmosphere for all people irrespective of their faith. The deities installed in the first phase are Lord Jagannath, Balabhadra and Subhadra in the center as you enter the temple, Lord Ganesha on the left side and Lord Venkateswara on the right. Other deities were installed on all three sides of the temple in 2006 and later in the elaborate Vedic ceremony. The deities were Ganesha, Durga, Karthikeya, Sri Mahalakshmi, Radha Krishna, Sri Saraswati, Ram Parivar, Navagrahas, Shiva Parvati , Kali, Hanuman, Durga, Lords Mahavir and Parshwanath and Lord Buddha. The Hindu Cultural Center of North Alabama (HCCNA) is a registered Non-profit organization founded in 1995. Its mission is to promote spiritual and cultural upliftment for all relating to Sanatana Dharma and allied Hindu beliefs while affirming the concept of global family. The current HCCNA Temple was consecrated in June 2005.